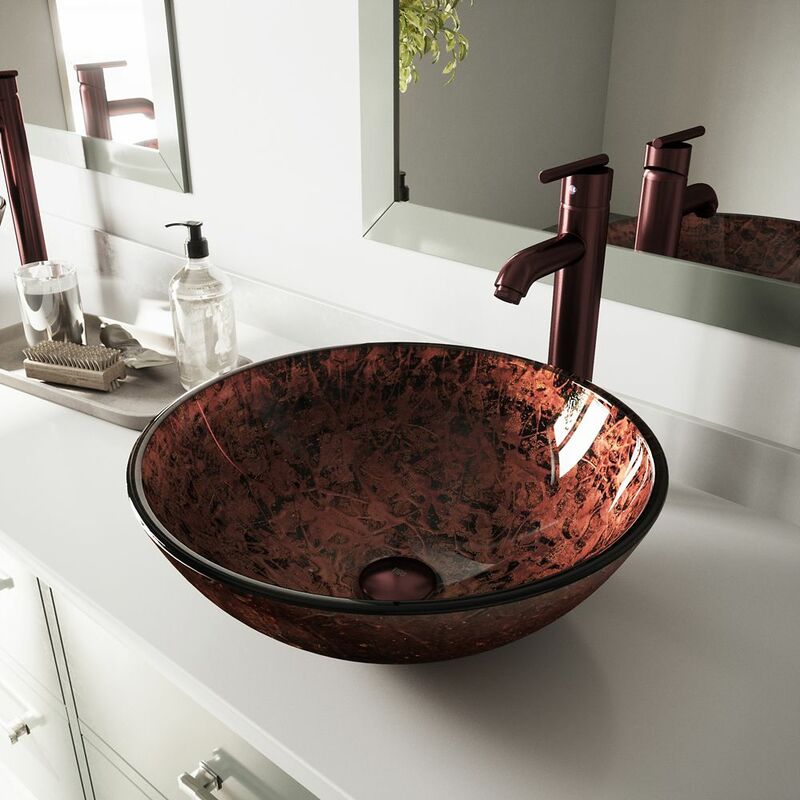 Glass Vessel Sink in Mahogany Moon with Faucet in Oil-Rubbed Bronze is rated 4.8 out of 5 by 4. Rated 5 out of 5 by DBD from Beautilful! This is a beautiful sink and a great addition to our dressing room. Quality & Style & value! It was very easy to install & very carefully wrapped for shipment. Rated 4 out of 5 by Vinic from Looks great Havent installed it yet, but I did notice on the glass that there is a type of glue that I cannot remove. Im guessing that it is used to glue the texture to the outside?